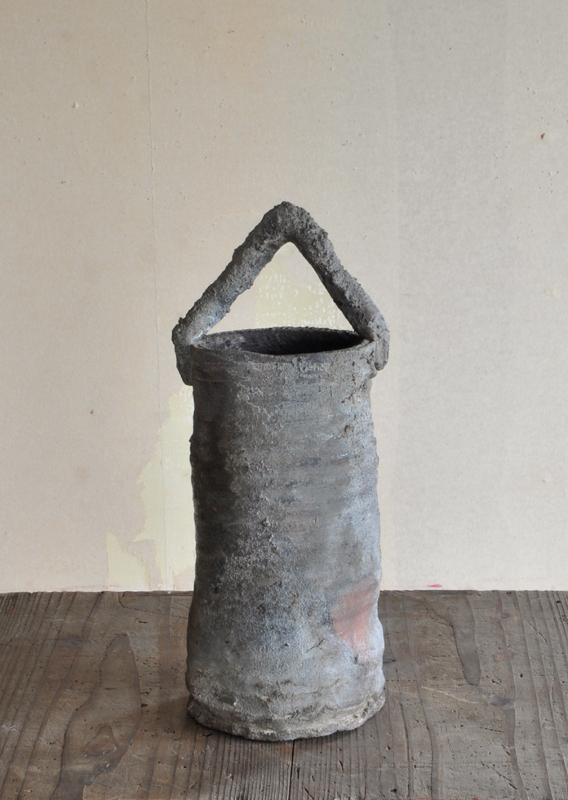 BIZEN VASE WITH HANDLE (Dealer: hotoke antiques) – Unglazed high-fired Bizen stoneware vase of wabi quiet presence with such raw and wild dry texture. Edo period, 19th century, Japan. Treasured and handed down through the generations among predecessors (connoisseurs) as ‘denseihin’, attached with a wooden box signed as ‘High-grade Old Bizen vase (made by Shoyo)’ in the later years with replaced string. Unique sperm-like sign at the bottom. In fine antique condition as is.